Two decades is not a lot in the grand scheme of things, but owing to accelerating change we can expect to see the emergence of some fairly disruptive technological innovations in the coming years. 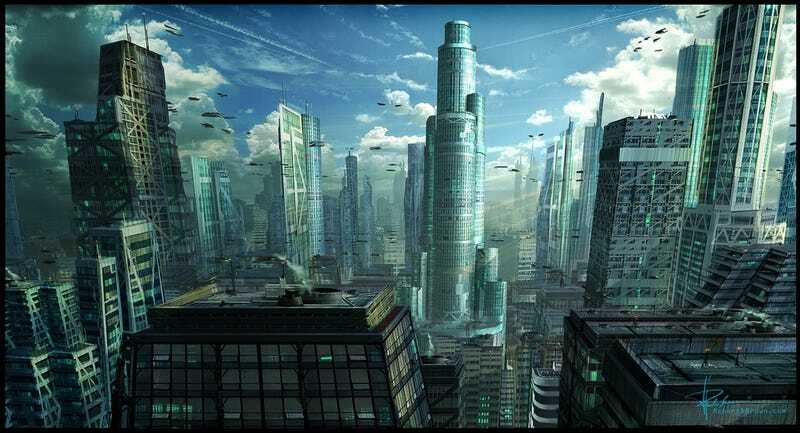 Here are 10 mindblowingly futuristic technologies that should appear by the 2030s. These devices, however, are getting steadily smaller owing to the miniaturization revolution that’s in full swing (e.g. the shift towards microelectromechanical systems, or MEMS). In short order we’ll be living in a Rainbow’s End world, where information processing devices will be virtually everywhere, but completely invisible — absorbed into our surroundings. These computers will be in our clothes, our fashion accessories, and even in our contact lenses. And to use them we’ll use natural language and haptic technologies (i.e. tactile feedback). Or better yet, these devices will be endowed with a certain level of “ambient intelligence” to help them perform autonomously under specific conditions. Other geoengineering techniques include artificial trees, enhanced weathering, ocean fertilization, ocean alkalinity enhancement, and others. There’s even the prospect of weather control. Many of these are not technologically sophisticated, and could start pretty much immediately. Could we build a weather machine to stop climate change? This one’s fairly straightforward, but no less profound. Someone from Earth will reach Mars by the early 2030s — whether it be private enterprise or a government agency. At least we freakin’ hope so! But regardless of who gets there first, one of the first things they’ll do is set up an Internet connection with Earth. And why not? The explorers — or settlers, if they’re part of the Mars One project — will both want and need to access and share information. Oh, and they’ll probably want to purchase something while they’re there when supplies run low. How will space colonists access the Internet on Mars? And in addition to day-to-day items and electronics, these printers could generate handguns (which is not such a hot idea), vaccines (we won’t have to leave our homes to get inoculated during a pandemic), self-assembling robots, and androids. And eventually, these printers won’t need human guidance at all. Watch this robotic worm assemble itself. Oh, and it was 3D printed. How soon can we use the oceans to quench the world&apos;s thirst?